Can you measure how social media friendly Schools of Public Health are? How social media friendly are Danish Schools of Public Health? Nordic Schools of Public Health? European Schools of Public Health? And which are the most friendly? Can it at all be measured? And what does it mean to score high on social media friendliness? The answers to these questions are not straight forward. But if we turn our heads to the other side of the Atlantic, an attempt to answer the question of how social media friendly American Schools of Public Health are, and who are the most friendly has been made by the people of MPHprogramsList.com (*read more about them below). They have compared the 57 different Schools of Public Health and come up with a list of the 25 Most Social Media Friendly Schools of Public Health for 2012. The scores are calculated based on the number of followers and the amount of activity on the three most popular sites: Facebook, Twitter, and YouTube, as well as the number of followers on LinkedIn. In addition, activity on Google Plus, Pinterest, and Flickr was also taken into account. (read more about the scoring system here). The ‘winner’ is Harvard School of Public Health, closely followed by University of Memphis School of Public Health, and Johns Hopkins Bloomberg School of Public Health. So why is this interesting? Well, the motivation for making this list, as presented by MPHprogramsList.com, was that social media play a key role for American universities in attracting prospective students. A survey presented in an article thus showed that about two-thirds of high school students uses social media sites such as Facebook, Twitter and YouTube to check out colleges. This obviously makes social media an important tool in branding the School, but are there other benefits to being social media friendly? Effects on communicating science and public engagement in science? It would be interesting to study what other motives there are for the universities in having a strong social media presence, and studying how this affects the way social media is used. Apart from attracting students has it contributed to bringing attention to and communicate research performed by the university? Has it had an impact on the application and implementation of their research? Or even and impact on Public Health? Of course part of the method to attract students is to explain what research the university undertakes, but has the social media presence also lead to discussions of research and dialogue with both current and future students as well as the general public? It would be interesting to learn more about this. Especially if one is to argue for why European Schools of Public Health should prioritize social media, since the attraction of students, although still relevant, plays a less prominent role for the schools. I am not myself aware of any such research studies, but if they exist it would be great to learn about them. *MPH Programs List.com was created as a free resource for students interested in graduate public health, public administration, public policy and health administration programs. Their goal in creating this site is to attract students to these under-served yet highly rewarding fields. The goal is to highlight MPH programs around the globe including Online MPH programs, CEPH Accredited Programs, MPH Careers, the MPH Experience and more. 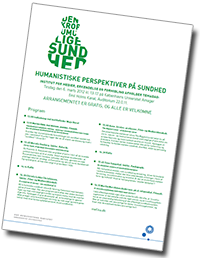 A ‘Humanities Perspective on Health’. I must admit that my prejudice about humanities flourished in my head when I last week decided to attend the ‘Institute day’ of the Department of Media, Cognition and Communication (MCC) at the Faculty of Humanities at University of Copenhagen. The headline for the event was “Humanities perspective on Health”. My reason for bringing up the MCC institute day here on this blog is that a few of the presentations focused on the communication of health (see complete programme here – NB in Danish). Two presentations took their starting point in health as it is portrayed in television. Associate professor Christa Lykke Christensen took a closer look at health in Danish TV from the past to the present and Anne Jerslev, professor of Film- og Media Science, talked about “The biggest Loser”, a reality programme with obese people, as an example of a health related television programme from the US. Finally associate professor Tone Saugstad talked of didactics in health campaigns. Unfortunately, I wasn’t able to attend all sessions, but from the ones I attended I put together this small Storify of my tweets (also in Danish). As far as I am aware, I was the only one tweeting at the event, so the tweets naturally only reflect my impressions. Would have been great if there had been others, but that was perhaps too much to expect at a department of media and communication. Below are a few of my thoughts from the afternoon presentation. Crista Lykke Christensen illustrated in her presentation how television programmes in the 1970’s until the 00’s portrayed health as equal to the absence of disease. Most programmes used the format of documentary, reportage etc. looking at things like pollution and structural things in society that caused disease and illness. The responsible parties was to a large extend society, the industry etc. From the 00s and onwards the perspective changed. According to Christa Lykke, health as it is portrayed in Danish television today is no longer equal to the absence of disease, but is to a large extend now equal to the absence of obesity. The programmes use formats such as docu-soap, reality show etc. A consequence of this is, according to Christa Lykke, that in todays media coverage of heath, the true “health experts” have been replaced by “know-how experts” (coaches, diet experts, fitness instructors etc.) The ‘true experts’ have been pushed to the side. Thinking it terms of public health science communication, I guess this means that the traditional health scientists are ‘up against’ a new league of people, not just the public or the politicians but also these new know-how experts. This fact is not revolutionary, but it just made me think about how science communication needs to find its strengths in comparison with the communication from know-how experts. Although Christa Lykke didn’t touch upon it in her presentation, it is obvious that know-how-health-experts are not just a TV phenomenon. Also online are there thousands of them. They have discovered the power of the blogs and social media – at least in comparison with Danish Public Health and Health scientists who almost shine by the absence. The know-how experts have made themselves available to the public and through online platforms they give on all sorts of health issues in a language their audience can understand. Perhaps scientists should let themselves inspire a little and dare to take a risk and communicate their research through other platforms that the peer-reviewed journal and conference presentations. Not by copying the know-how experts, but by finding their own format, suited for their research in the interactive platforms. I have never attended a meeting at the Department of Media, Cognition and Communication (MCC) but I did (perhaps naively) expect that communication methods would be kind of cool and in sync with the newest developments. I was however to be disappointed – both when it came to presentation technic and the media covered in their presented research. Not once during the afternoon (at least in the part that I attended) was social media for example mentioned, even though this is a quite significant player on the health scene. Only a short mention of the fact that the programme “the biggest loser” also had an online world where viewers commented on the programme and shared their own obesity stories. The presentation on communication used in health campaigns by associate professor Tone Saugstad, was limited only to mass media, and when I asked her about the role of social media in national health campaigns she looked like one big question mark! Also it was surprising how few photos, video etc. was on their presentations. Only at the end of the Anne Jerslevs “Biggest Loser” presentation did we get to see some photos from the show. No YouTube video clips, no sound clips, no illustrative examples from Christa Lykke, no examples of health campaigns – just ppt slides with bullet points. Quite surprising at a Department of Media, Cognition and Communication I must say! Finally, I got the impression that the research presented was all very backwards looking. It was all about what had passed and no mention of what media coverage of health in the future could look like. Nor much opinion on whether the current coverage was good or bad or what consequences it has for public health (eg. does it influence the populations perception of what health is, how we utilise the health system, whether we eat differently etc). That it was all about the past and not so much the current consequences or of future communication was clearly illustrated when Christa Lykke replied that she had no comment on what she thought about the current coverage of health in TV, or any suggestions as to what the future would, could or should look like. She said that was not her role as a researcher. My thinking is that if researcher do not dare to, based on their knowledge and expertise, comment on the development, well then science is sure to lose the battle to the know-how experts…. Also deans of Schools of Public Health can blog – and master the discipline very well! I love when I come across people, who in a public health perspective are high ranking and hold influential positions in public health – and who blogs! It proves that blogging is for all, whether you’re a public health student or the dean of a School of Public Health. This week I came across a great example of the later. Antoine Flahault is dean of the Ecole des Hautes Etudes en Santé Publique (EHESP, School of Public Health, which belongs to Sorbonne Paris Cité, a confederal French university), and a regular blogger on his own University blog, which is simply called Antoine Flahault’s blog, and was started already in November 2007 (it is available in both English and French). What I like about the blog, is that Antonie Flahault is not afraid to share his opinion. He argues for his points of view and thus indirectly gives a window into where he sees that a school of public health should be heading. He poses questions and invites comments (although this doesn’t seem much used), which hopefully stimulates discussion and reflection among his readers. And then something I appreciate very much: he writes as him. Not only as the dean, but as Antonie Flahault. This gives the blog a personal touch, which makes it engaging to read. There are no pictures, but lots of background links and the blog is very much alive with very regular postings of new blogs. I truely feel I have learnt something new or reflected on a topic after having read his blog posts. I have come across other blogs run by deans of schools of public health – but not many, and this one is definitely the absolute best I have encountered so far. I just started following Antoine on Twitter and look forward to reading more of his thoughts on public health, which are very inspirering. Monday Gold by Dean Marla J. Gold from Drexel University’s School of Public Health. Antoine Flahault was formerly a public health intern, doctor of medicine, doctor of biomathematics, professor of public health at Université Paris Descartes – public health practitioner at Hôtel Dieu de Paris ; he was former head of the public health department at Tenon hospital, Paris. He headed the Sentinelles research team at Inserm-UPMC (UMR-S 707) and the WHO Collaborating Centre for electronic disease surveillance. He co-ordinated a research programme bringing together disease surveillance, preventive epidemiology and mathematical modelling. In collaboration with WHO, he developed the international ‘flu monitoring system (FluNet). In 2006 he was responsible for setting up an interdisciplinary unit for research into Chikungunya and since 28 November 2007 he has been responsible for a research and monitoring unit into emerging diseases in the Guyana and Caribbean region. He was appointed director of the Ecole des Hautes Etudes en Santé Publique (EHESP, School of Public Health, which belongs to Sorbonne Paris Cité, a confederal French university) from 1 January 2008. He has been elected as president of the Association of Schools of Public Health in the European Region (ASPHER) in 2010-2011. He has been elected as Correspondant Member at the French Academy of Medicine in December 2009. 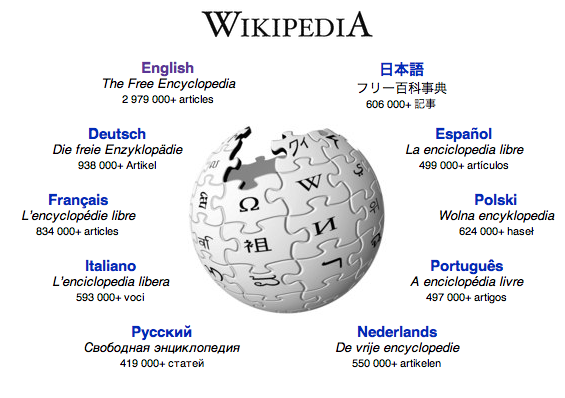 Public health interest in a correct and elaborate wikipedia? I just thought I’d share with you a short follow-up to my previous post about a Wikipedia training session at McMaster University’s Faculty of Health Sciences. In an article in the online local newspaper TheSpec.com the session, which approximately 30 people attended, is mentioned. For Dr James Heilman the project of making researchers and universities explore and contribute to Wikipedia was to continue at University of British Columbia. I believe it was in connection with this event Wikipedia and Higher Education. I wonder if a similar training session would be something that could be introduced at the University of Copenhagen? Taking up the thread from last weeks post about providing training in Wikipedia at the Faculty of Health Sciences at McMaster University I came across this post on 6 Best Practices for Universities embracing Social Media. Here Dan Klamm from the New York based Syracuse University lists six best practices, Universities should learn from when embracing social media, in order to avoid failed strategies, dormant pages and less-than-thriving online communities. For universities whom have already developed and successfully implemented a social media strategy this list of headlines is perhaps not very useful. However, for universities or individual academic departments not yet in the social media era it might be useful. Based on my informal talk with researchers at The Faculty of Health at University of Copenhagen about their communication practices, the university is very much at a starting point and this list could be useful in pointing to some of the challenges an introduction of social media would bring with it. This includes dealing with what one could describe as prejudice towards social media, worries of time restraints, lack of skills and support in how to use it and perhaps most importantly lack of knowledge of what it can be used for. Especially the empowerment and support dimension seems essential and the importance of not creating just one system to cover the whole university, but instead acknowledge that departments and academic units all have unique messages and distinct audiences. This implies that departments should be able to establish their own accounts and take into account the characteristics of their particular audience etc. This strategy demands, however, for providing staff with the knowledge necessary and general support – not just on paper, but also in practice. Perhaps especially for the more senior staff who are in many cases not as familiar with social media. The Wikipedia trainings at McMaster University is a good example of providing and familiarizing staff and students with knowledge about a technology/platform and empowering them to use it themselves. The last of the six best practice focused on ensuring communication across departments and campuses is also important. Silo communication rarely brings good with it, and I do not believe that this will be the exception. Keeping lines open for communication across departments will provide important opportunities for collaboration, for sharing best practices and to learn from people in other departments. Perhaps especially in the field of public health, which in is definition reaches across so many disciplines, departments, faculties etc. There are surely lots of other “best practices” out there and lots of lessons to learn from, so this list I refer to here is just one of many. I would be happy to receive tips on who and where to look for more! Just a few months ago, I was as sceptical to Twitter as I experience that many of my friends and fellow public health colleagues are. But as might have become apparent from this blog, my opinion on Twitter has changed and I now gladly follow live-tweeted surgery, I have been tweeting at conferences and used posts on this blog to recommend other blogs providing tips for researchers on ways they can use Twitter. I guess one could argue that Twitter is a little bit overrepresented on this blog and it is even my impression that many of my readers already know much more about the topic than I do. Despite these two facts I just had to share this Guide to using Twitter in university research, teaching and impact activities which was just published by LSE – London School of Economics and Political Science. In addition, there are great tips on ways/styles for using those 140 characters that a tweet allows for. There is a terminology list and a list of recommended tweeters from the world of academics developed by followers of LSE Impact Blog. Perhaps this can be useful for me in trying to explain to friends and colleagues why the sceptical view on Twitter perhaps should be reconsidered a bit.